​A Doodle page has been set up for volunteers to sign up. *NOTE: Code Blue is officially activated by the County of Emergency Management. Bridgeton's Warming Center Doors open at 6:00pm, and will Close at 9:00pm. *Please insure that you sign up for the appropriate days (Wednesday night through Friday morning). NOTE: If Code Blue is activated, a Doodle poll link will be sent out. Welcome to Bridgeton’s Code Blue web page. Your support in helping the homeless is greatly appreciated. If you are interested in becoming a part of the Bridgeton Code Blue team, we would love to have you. You can go online to registered at any time (www.m25initiative.org/code-blue). Below is a PowerPoint presentation with information about Bridgeton’s Warming Centers, along with our locations and time of operation. for a period of two hours or more. The Cumberland County Code Blue Coalition will utilize the forecast for Millville, NJ from www.weather.gov. NOTE: Cumberland County Warming Centers may also open if there is a likely chance of winter precipitation, even if temperatures are predicted above the 32 degree threshold, but must be agreed upon by the Municipal Program Coordinators and Steering committee Chair. ​​Our webpage will be updated regularly to highlight what is new and exciting, as well as what is needed to continue helping those who depend on our Warming Center’s to keep them safe and warm throughout the Code Blue season. If you are interested in participating in any way, please contact Nina Young @ nyoung@gatewaycap.org. May God continue to bless you and keep you warm in heart, spirit, and mind. See PowerPoint presentation for church rotation schedule. If you are interested in preparing a meal for the homeless on the dates marked "OPEN", please contact Nina Young @ 856.451.6330, ext. 6756 for specific requirements, or review the Code Blue Handbook at www.m25initiative.org--and click "Get Involved". Also, if your church is interested in becoming a host church, please log onto the M25 Initiative's website and complete the application. All inquiries can be directed to Nina Young @ (856) 451-6330, ext. 6756 or email nyoung@gatewaycap.org. For emergencies contact Nick Dobrowolski. 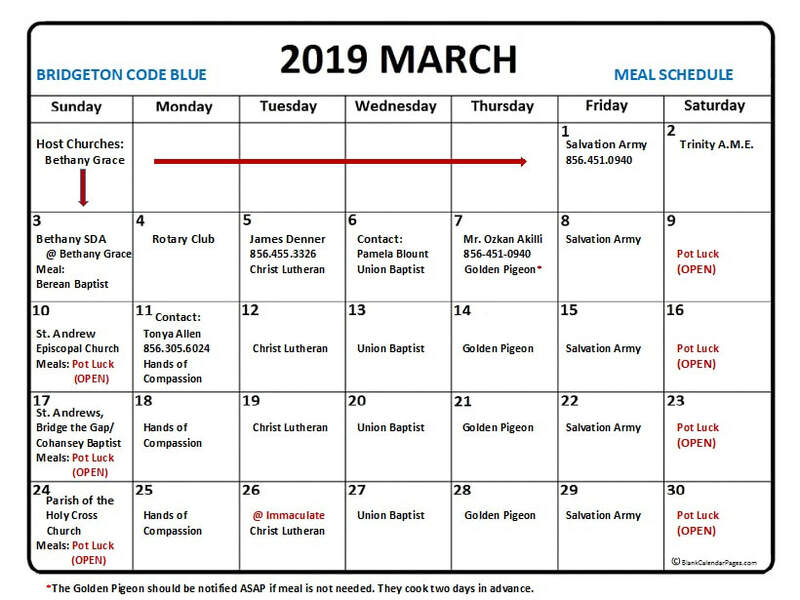 See the information below for a variety of events to support our Code Blue Initiative. 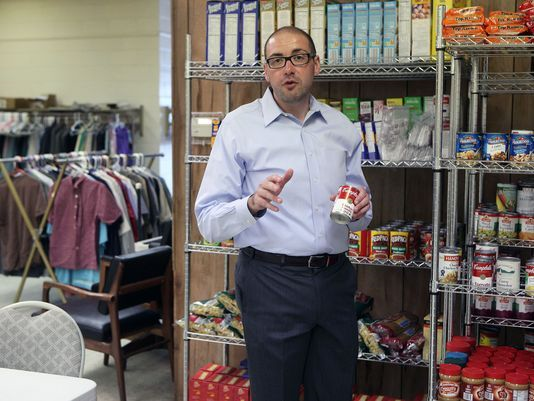 Bethany Graces offers a variety of services for those in need.